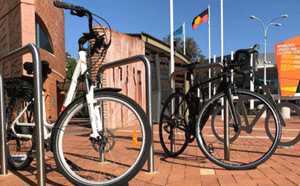 The City of Wanneroo invites local cyclists to a breakfast at the Wanneroo Civic Centre on 22 March, in celebration of Bike Week 2019 and the recent completion of the City’s new Cycle Plan. Mayor Tracey Roberts said the aim of the new Cycle Plan was to connect the City of Wanneroo through a continuous cycling network offering safe and enjoyable riding options for residents of all ages and abilities. “It is all part of the City’s commitment to creating opportunities that encourage community wellbeing and active and healthy lifestyles,” Mayor Roberts said. “Cycling is a healthy and environmentally-friendly activity that can be enjoyed by people of all ages,” she said. Currently there are 302 kilometres of existing cycle paths throughout the City of Wanneroo, and more than 82 kilometres of cycle paths will be constructed or upgraded in the next four years as part of the Cycle Plan. The Plan maps out how the cycle network will link residents to existing and new key transport nodes across the City, including retail and entertainment destinations in Alkimos, Clarkson, Mindarie and Wanneroo, community hubs in Girrawheen and Yanchep and the future Metronet rail stations at Alkimos, Eglinton and Yanchep. Breakfast will include a bacon and egg roll or fruit option, as well as bottled water and juices. A coffee van will also be on-site for those who wish to purchase hot beverages. Bicycle parking will also be available. WestCycle’s Bike Week, supported by the Department of Transport, runs from Friday 15 March to Sunday 24 March.